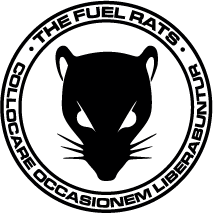 Thank you for considering donating to The Fuel Rats. As simple as our jobs are in the end, we actually have a lot of systems in place to help us do our rescues, and the servers they run on amount to over €100 per month. We've got rats who have fronted the money to keep these servers running, but if you'd like to contribute, that would be great! Our donations are processed through Stripe, and they take most major credit cards. Please select your wished currency and way to donate. I want to donate with my credit card! I want to donate with Apple / Google Pay!